Hello, my name is Ben Westrup. I teach 10th Grade English Language Arts. This will be my 8th year with the Alliance, and I’m so proud to join the great team we have here at ESAT. Before beginning my teaching career with Alliance, I received my B.A. in English from Westmont College and my Single-Subject Credential from CSULB. Both my parents have had long careers as primary and secondary educators, and it is through their example that I have gained a passion and love for teaching. I teach because I believe in the importance of the relationship between education and future opportunities. I believe that the child that puts forth their best effort in school is investing in their future, and it is my desire to help grow the potential of that investment through teaching the skills of reading, writing, listening and speaking. To be ready for the responsibilities of adulthood, we need our students to be persuasive communicators, critical thinkers, and insightful readers. It is my goal to help our students by holding them accountable to high academic standards. Parents, you can help by making sure that your students are reading at home and visiting the library to get new books. Feel free to stop by my class any time to see how your students are doing. 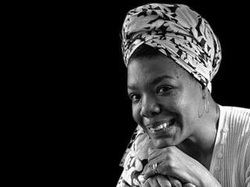 If you’ve never heard of Dr. Maya Angelou, you should read the article at the link below. She was an important figure in the worlds of poetry and civil rights. Her most famous work was “I Know Why the Caged Bird Sings”, which I have in my classroom library. People sought her out for advice and wisdom. She interacted with people such as Dr. Martin Luther King Jr, Malcolm X, Tupac Shakur, Common, Dave Chappelle, Chris Rock, and President Bill Clinton. She died on May 28, 2014. Click here to read about her life. Malala Yousafzai was 15 years old when the Taliban attempted to assassinate her for speaking out their practice of banning girls from attending school. Despite being shot in the face, Malala survived and continues to advocate for the education of women throughout the world. In 2014, she was awarded the Nobel Peace Prize for her struggle for the rights of children. She is the youngest person ever to win a Nobel Prize. Click here to see an interview with her conducted by Jon Stewart.